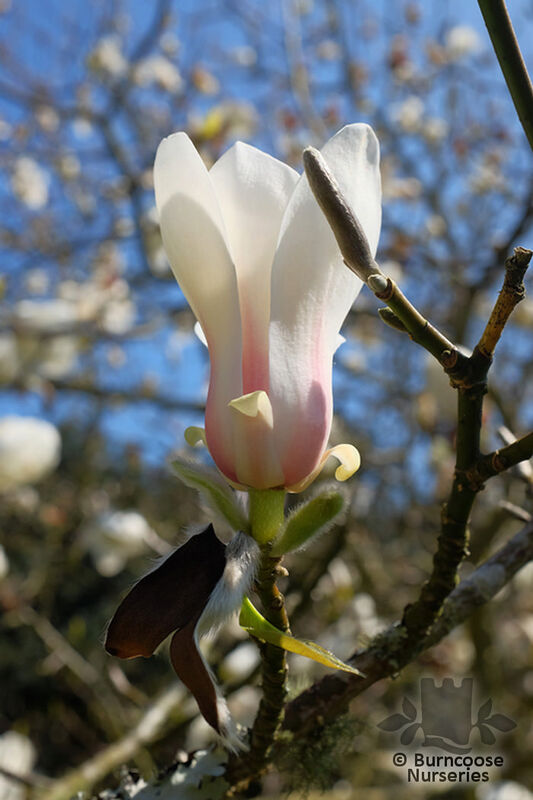 MAGNOLIAS, named after the French botanist Pierre Magnol, are an ancient genus and it is thought that pollination was by beetles as the trees appeared before bees. 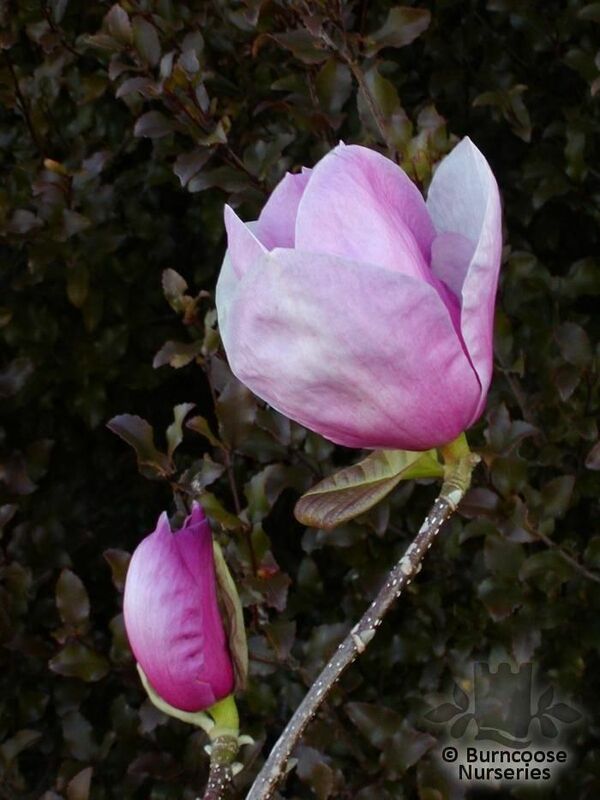 Fossilised remains from the family are 95 million years old. 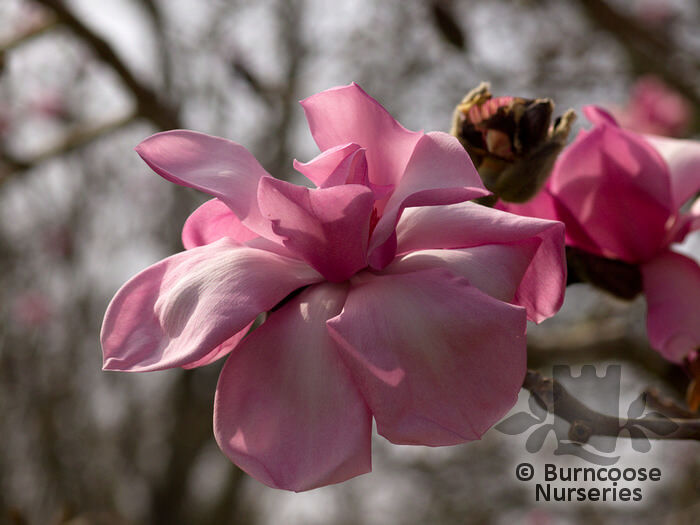 The main centre of distribution is eastern and southeastern Asia with a secondary centre in eastern North America, Central America, the West Indies and South America. 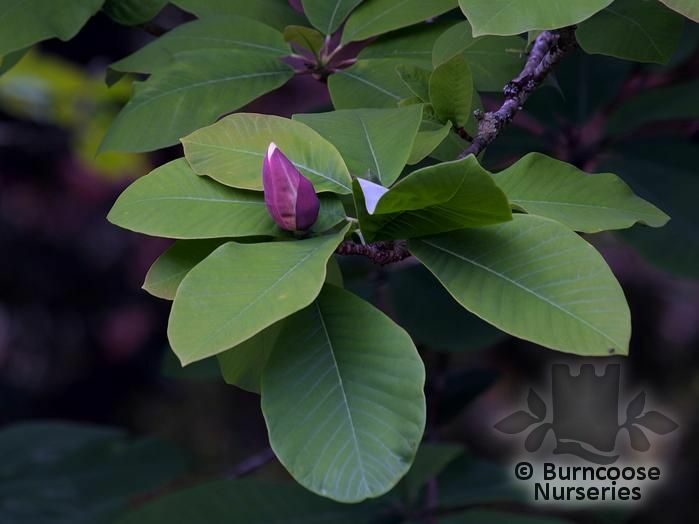 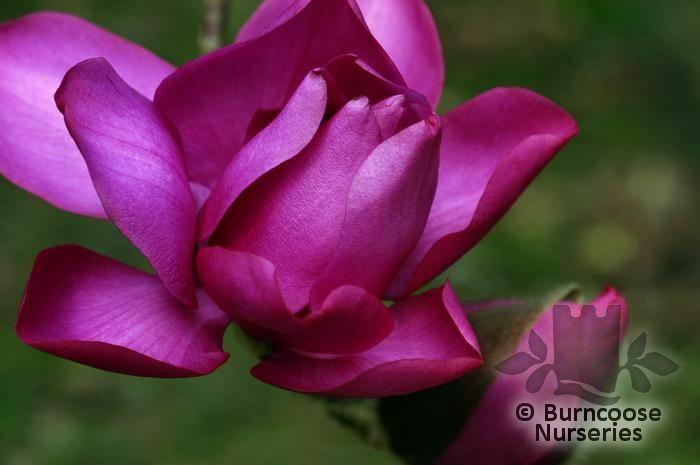 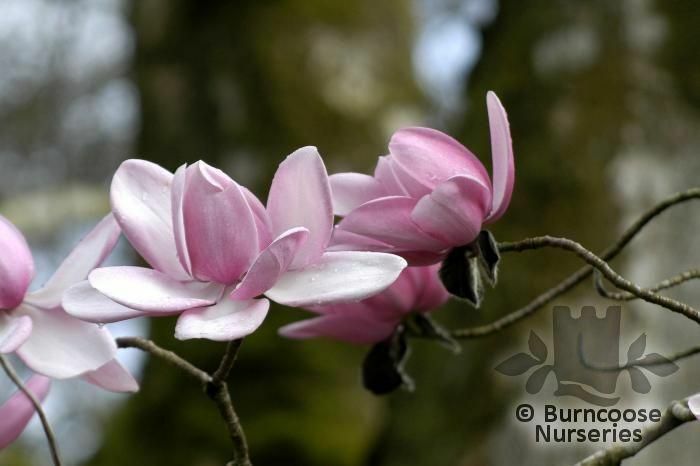 LARGE and SPECIMEN sized magnolias are almost all grafted plants. 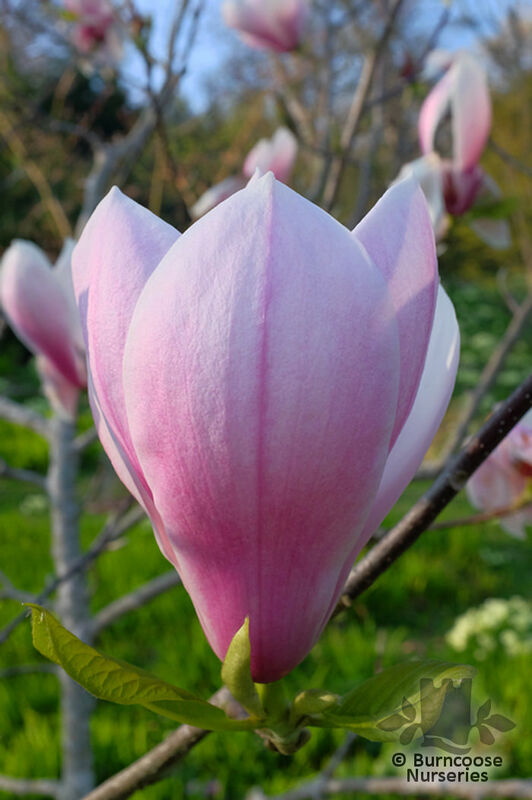 Many are also very rare. 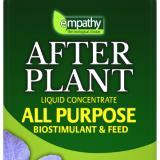 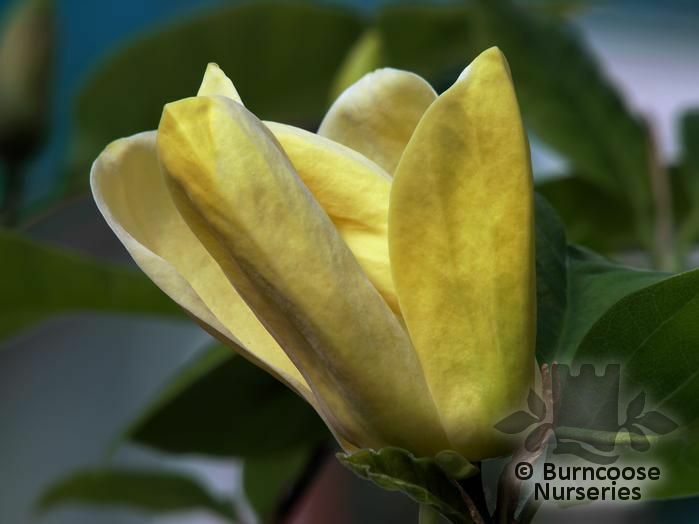 LARGE plants are 2-3 year old grafts and SPECIMEN plants 3-5 year old grafts. 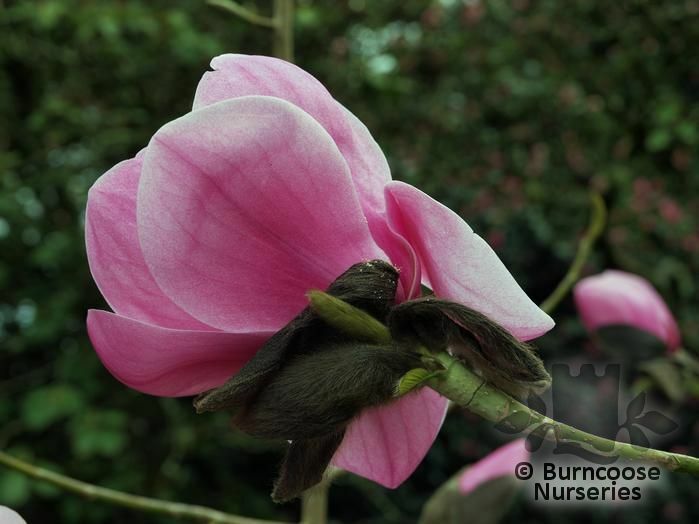 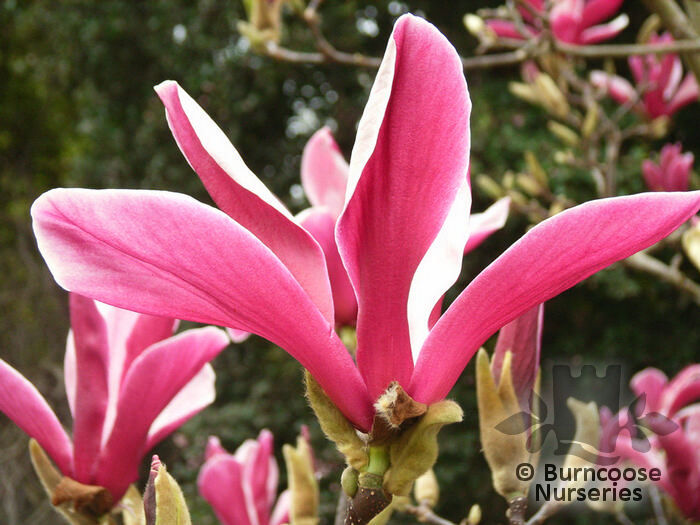 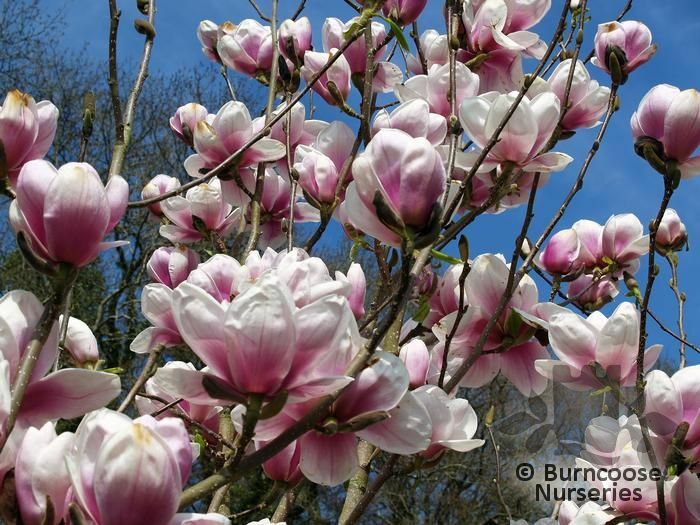 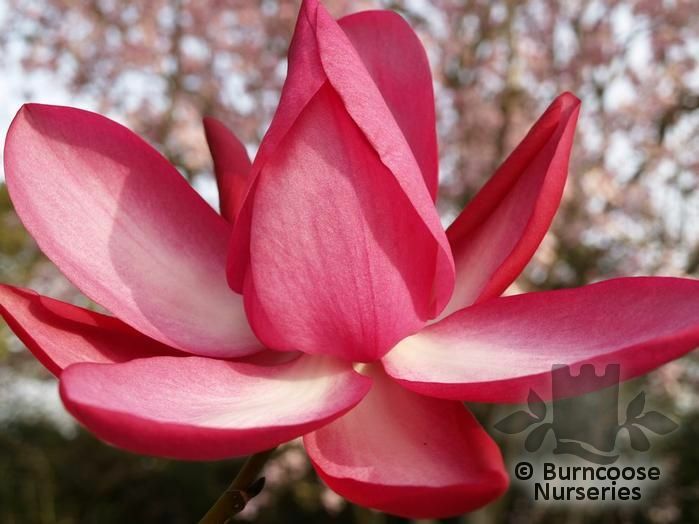 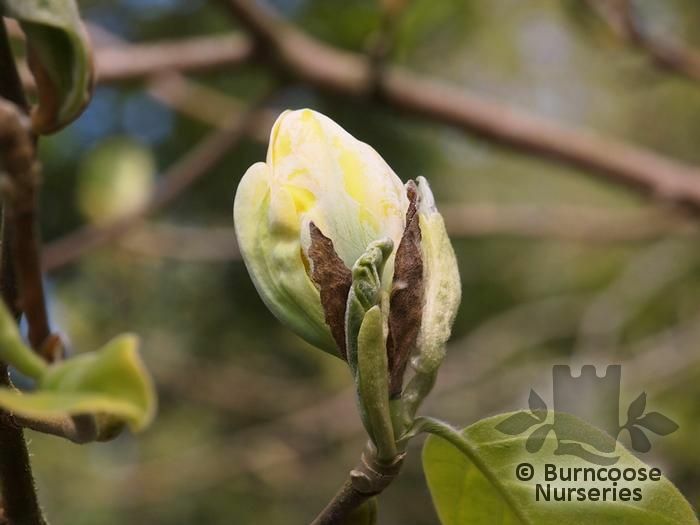 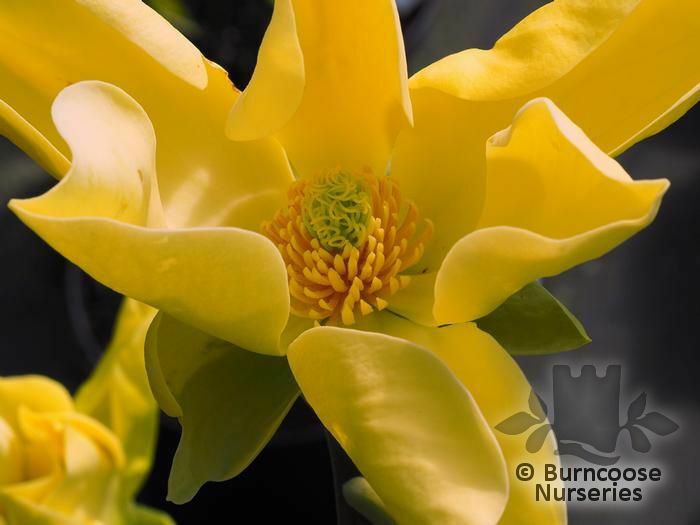 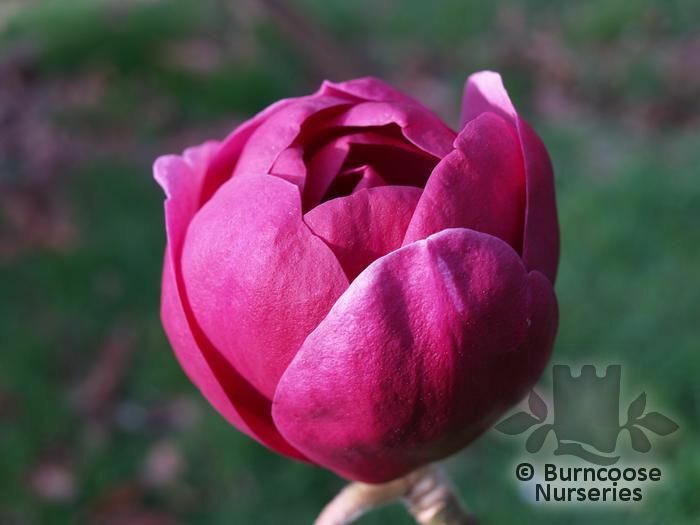 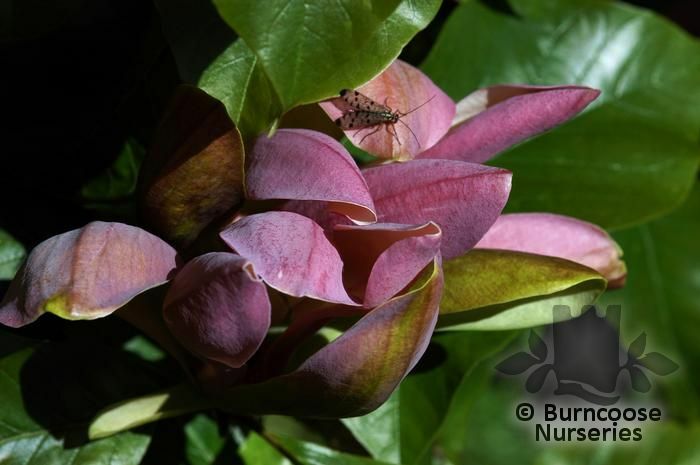 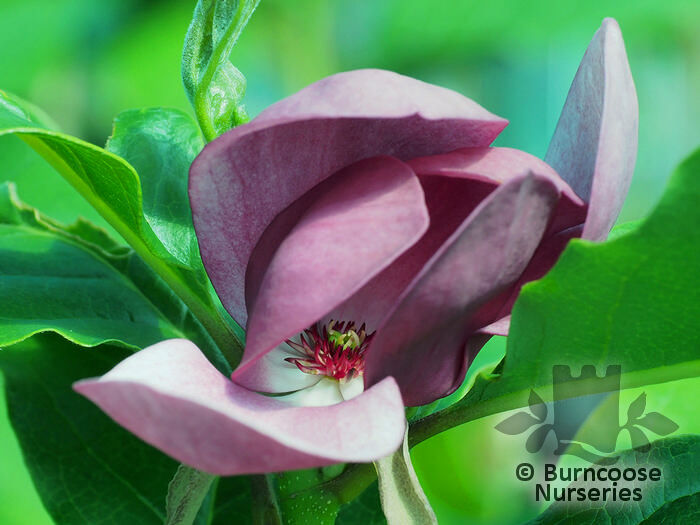 Different Magnolia varieties grow at very different speeds and therefore the size of a LARGE or a SPECIMEN plant and the exact pot size it is delivered in can vary markedly for plants of identical age and also on time of year, since Magnolias can grow very quickly. 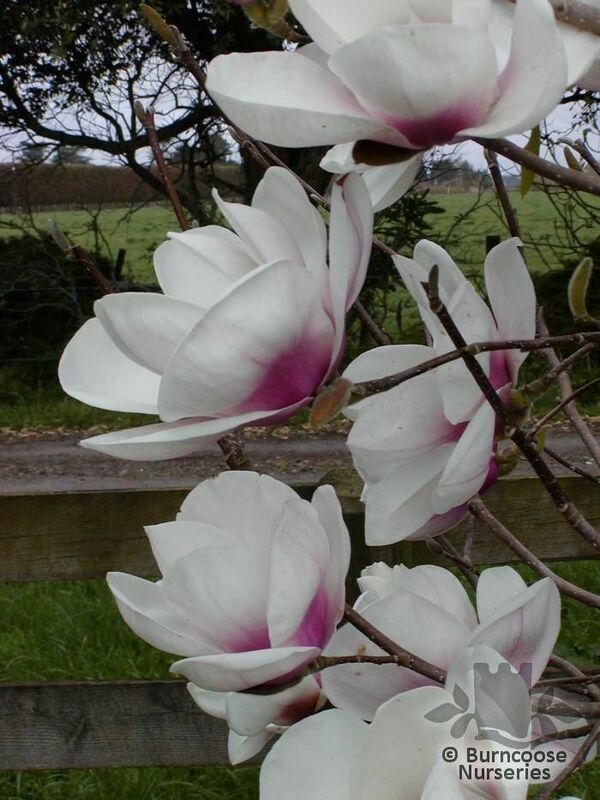 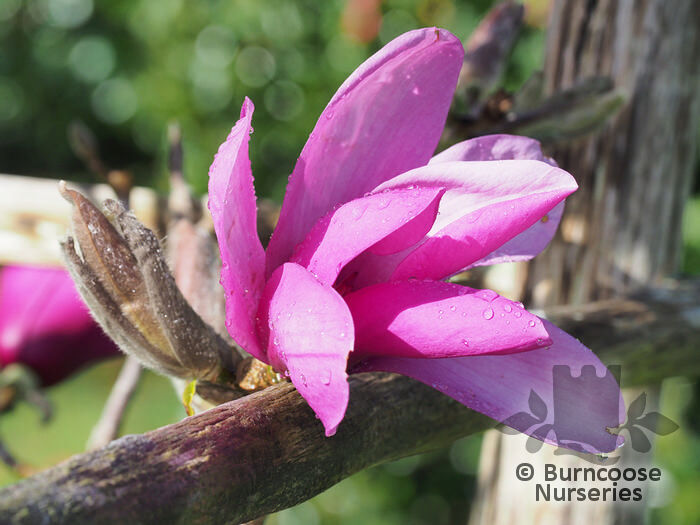 Many more magnolia pictures can be found on the Caerhays Website and The Garden Diary. 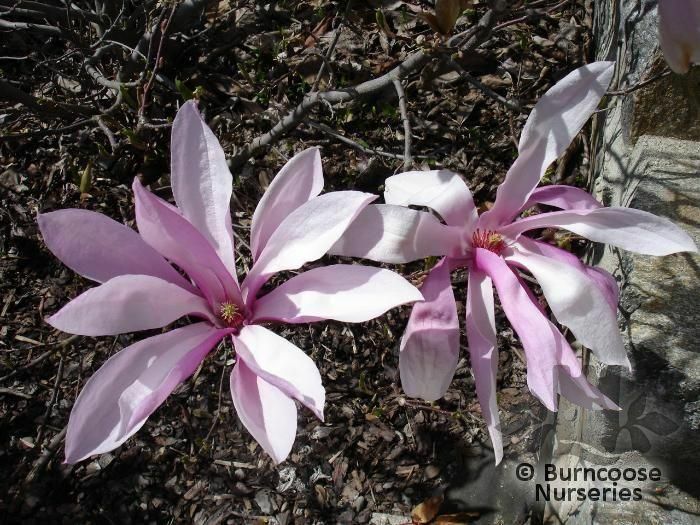 Additional Features	- Good to know - an ancient genus named after Pierre Magnol, French botanist, 1638-1715. 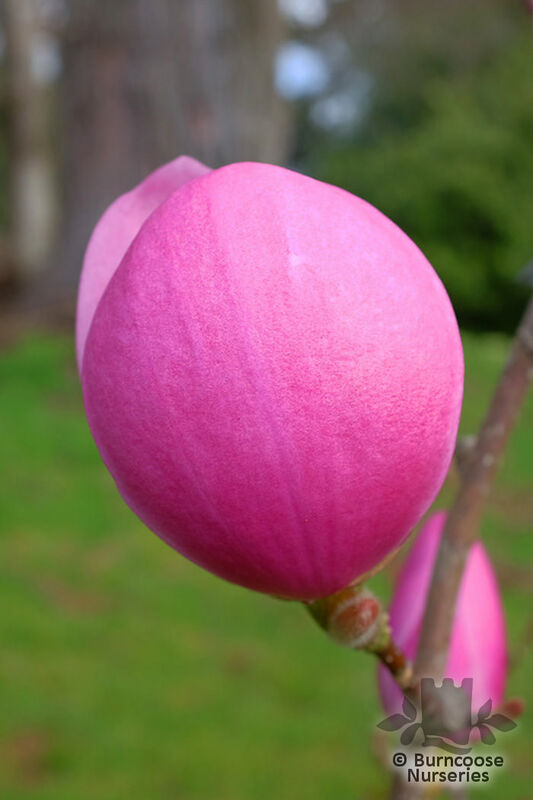 Evolving before bees plants were pollinated by beetles. 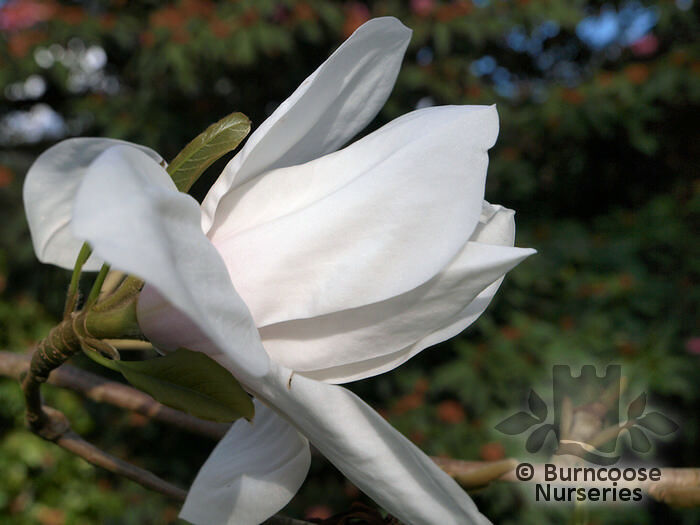 Grown for their showy, solitary, fragrant flowers. 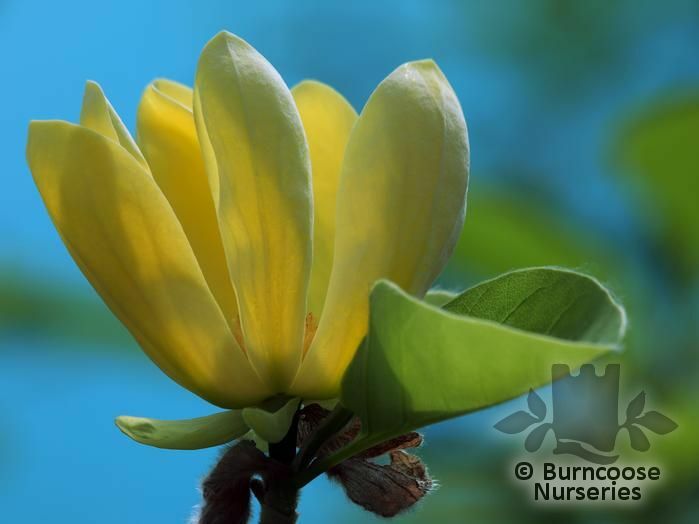 These can be cup-shaped, saucer-shaped, goblet-shaped or star-shaped and often appear before the leaves. 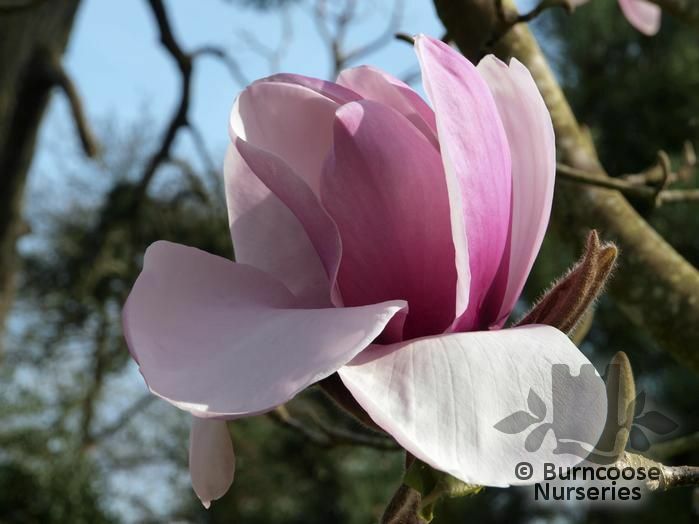 Colours range from pure white to white with blushes or stains of pink or purple, rich pink and purple, and various shades of yellow. 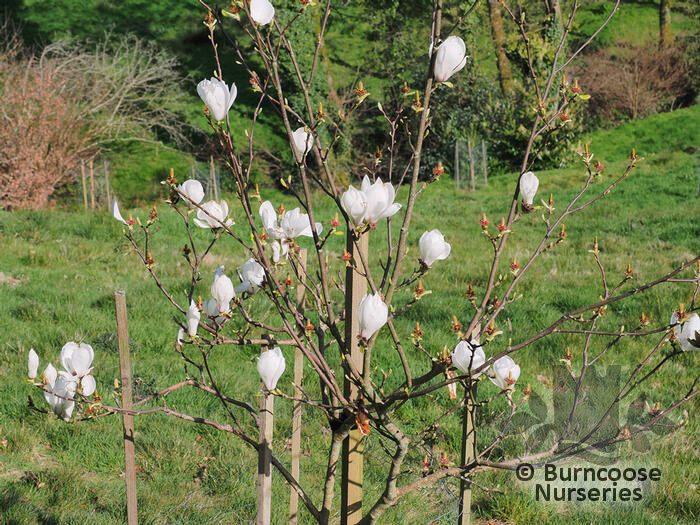 Cone-like fruit is produced in autumn on more mature specimens. 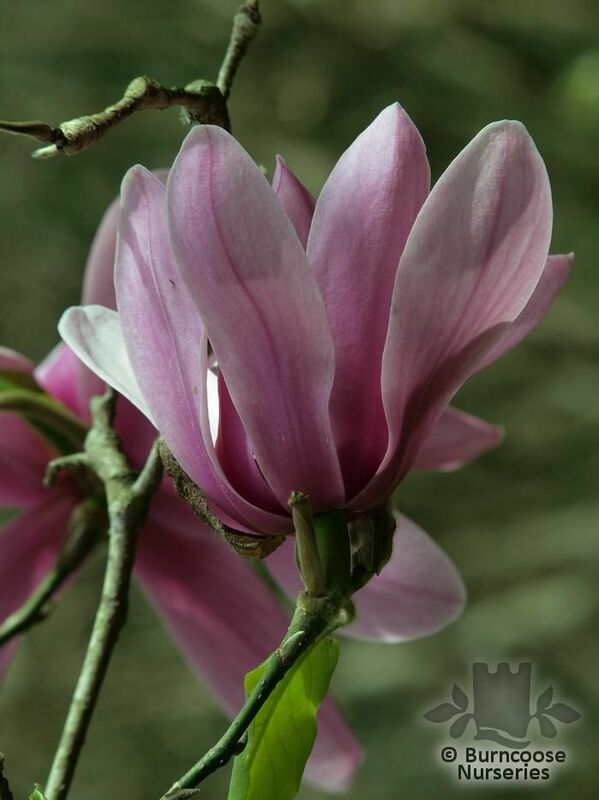 Commonly known as: Tianmu magnolia.